Trying to fight a Clearwater dui charge on your own? Dui charges are technical and complicated. Don’t try to fight it by yourself. Hire an experienced Clearwater dui attorney to represent you! At the law office of Finebloom, Haenel & Higgins our experienced dui staff is waiting to fight for you! Law enforcement officers in the Clearwater area strictly enforce Florida’s DUI laws. Prosecutors seldom decline DUI charges so it is important to hire the most experienced and aggressive dui attorneys in Clearwater to protect you! When you hire a Clearwater dui lawyer to represent you, there is less chance that you will suffer unnecessary consequences. The minimum consequences for a first time Clearwater DUI are one year of probation, a $500 fine, 50 public service hours and court ordered DUI School. Your license will also be suspended for a period of at least six months!! That is the absolute minimum penalty. Without proper representation you could also face up to six months in the county jail!! If you blew over a .15 then the fine can increase to $1000 and you could face up to nine months in jail. All for a first offense! 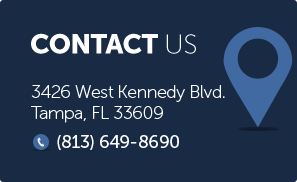 Because the penalties for a Clearwater DUI are so harsh, it is imperative that you hire the most experienced and knowledgeable dui lawyers in Clearwater to look after you and your rights! An arrest does not have to lead to a conviction! When you hire the firm of Finebloom, Haenel and Higgins to represent you in your Clearwater dui case we customize a defense to your needs. Our continued presence in the Clearwater courtrooms keeps us up to date with the latest defense techniques. Whether it is challenging the stop or challenging the breath test results from the Clearwater Intoxilyzer our attorneys have the knowledge and experience necessary to assist you! At Finebloom, Haenel & Higgins we focus on the individual. We know that there are several dui attorneys Clearwater residents have to choose from. However we are committed to providing quality hometown service to each and every one of our clients. At Finebloom, Haenel & Higgins we offer the most aggressive and compassionate dui lawyers Clearwater has available! Call us now at 813-200-4412 to schedule your consultation today! An attorney is available 24/7 to take your call. Let us help you fight your case today! !